The record is made up of 2 folios. It was created in 22 May 1879. It was written in English. The original is part of the British Library: India Office The department of the British Government to which the Government of India reported between 1858 and 1947. The successor to the Court of Directors. Records and Private Papers. 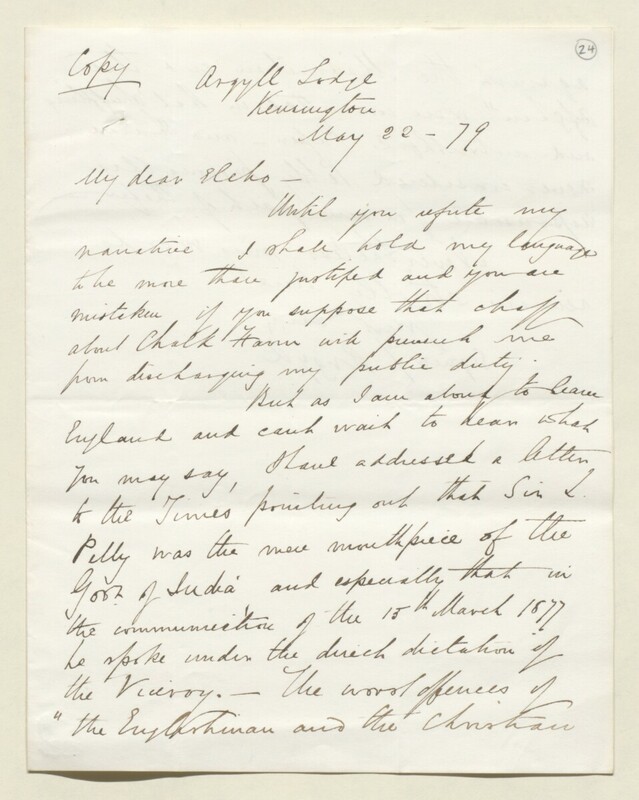 Letter informing Lord Elcho that he has addressed a letter to The Times to redress his comments regarding Lewis Pelly.